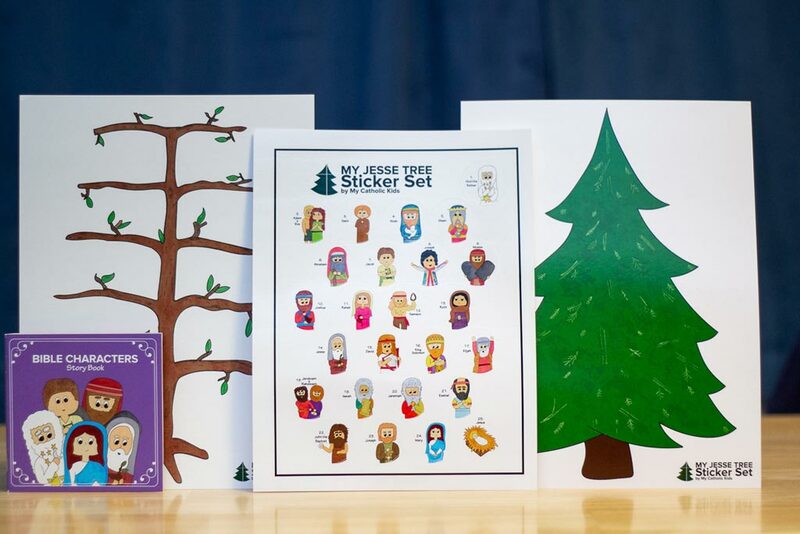 Jesse Tree Sticker Set and Fishing for Bible Characters are Here! This year, we’re launching two brand new products to make your Advent both fun and meaningful. God the Father, Adam & Eve, Seth, Noah, Shem, Abraham, Jacob, Joseph (Old Testament), Moses, Joshua, Rahab, Samson, Ruth, Jesse, David, Solomon, Elijah, Jeroboam & Rehoboam, Isaiah, Jeremiah, Ezekiel, John the Baptist, Joseph (New Testament), Mary, & Jesus. 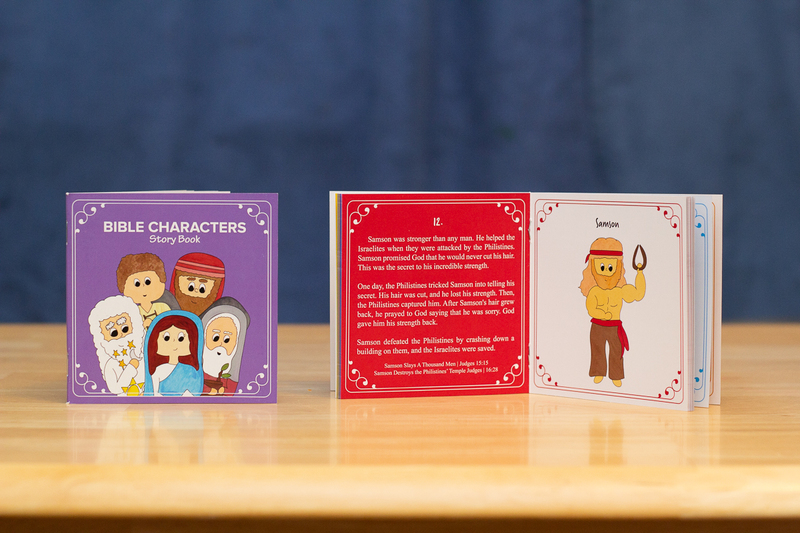 The sticker sheet features 25 circular Bible Character stickers, each numbered and designed to go along with the Bible Characters Story Book. Each day starting on December 1, you can read a new story and place that character’s sticker on the included cardstock Jesse Tree. The tree is beautifully printed on a large sheet of 9×12 inch card stock. It features two tree designs, one on each side. The Traditional Jesse Tree is meant to represent the passage from Isaiah 11:1 which reads “A shoot will spring up from the stump of Jesse”. This Old Testament prophecy connects Jesus to the line of the great King David (the son of Jesse). The Evergreen Jesse Tree gives you the lush and familiar look of the Christmas tree. Many people use their Christmas tree as a Jesse Tree before redecorating it for Christmas. 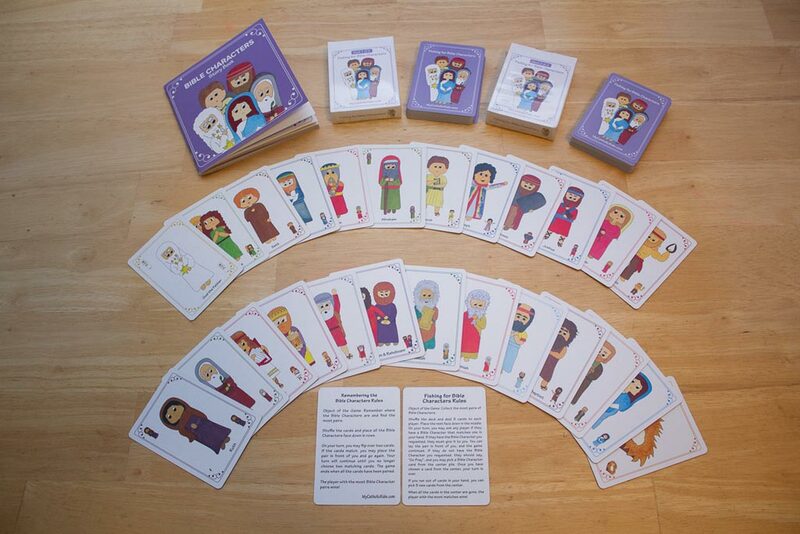 Buy the One of Everything My Jesse Tree Set during our launch and get it for the special price! 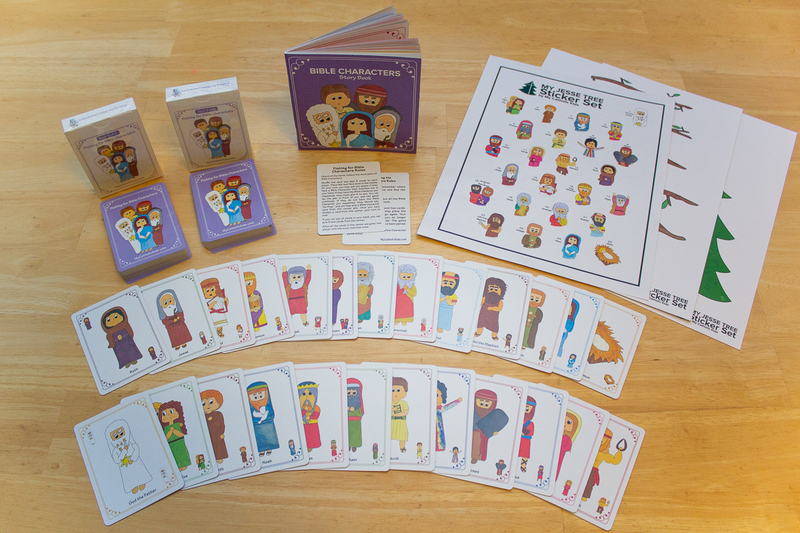 Buy a Fishing for Bible Characters Two-Pack during our launch and get it for the special price!